These sweet treats are a great way to cool off on a hot summer day, or any day for that matter! All it takes is few ingredients and 5 minutes of your time! YUM! While pancakes are cooling, place one of your toppings on a plate. Once pancakes have cooled, place 1 scoop (or more!) between two Mini Buttermilk Pancakes. 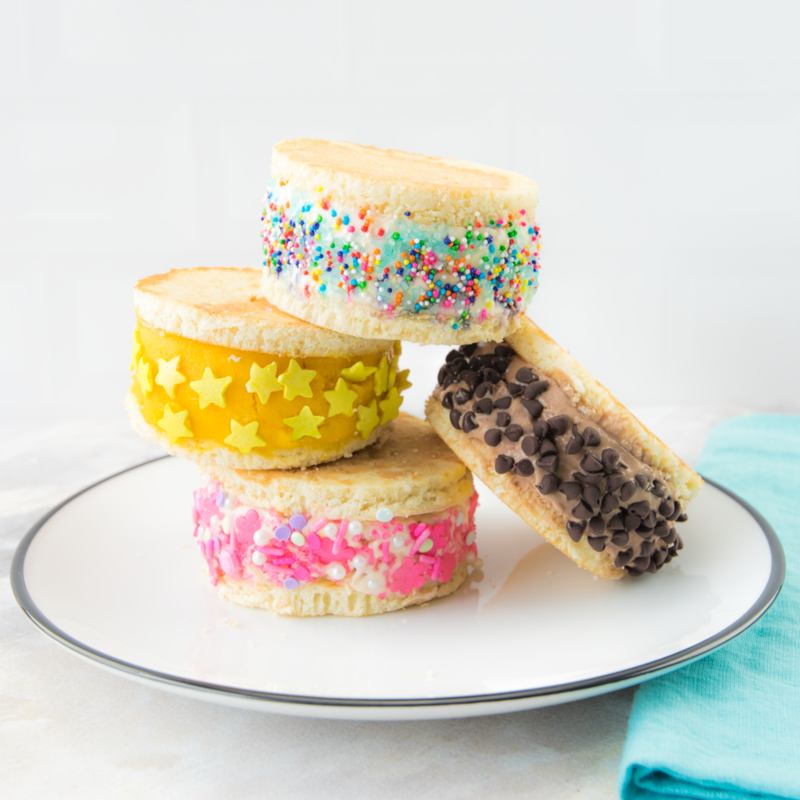 Then, role your mini ice cream sandwich through the sprinkles to dress up your treat! Lastly, open wide and let this delicious frozen treat melt in your mouth!